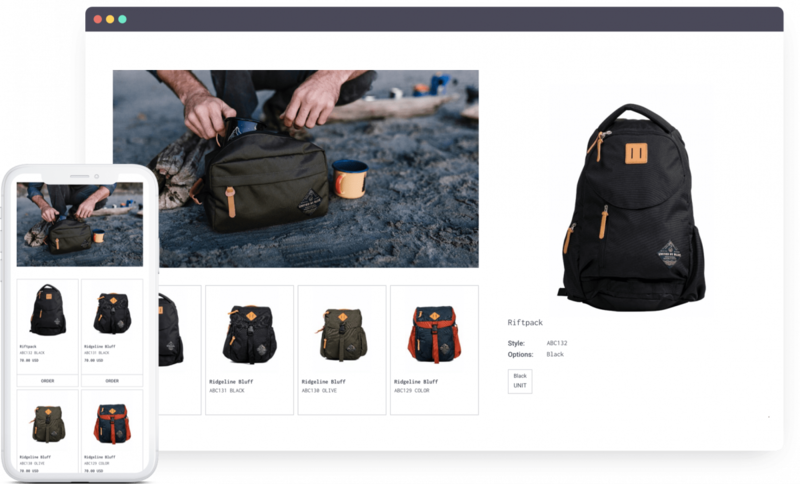 Our powerful system lets you quickly create interactive Linesheets, Lookbooks and Catalogues that streamline team workflow and help you sell more product. Bulk upload and build in minutes. Creating linesheets and lookbooks to pitch to buyers is as simple as a few clicks. Bring your creative vision to life, and sell more of your products. Bring your A-game on the road with mobile, ipad, and PDF versions of your linesheets & lookbooks. It's the little things that make Brandboom's design tool so powerful. Robust team management system with customizable permissions. Share your linesheets with clients around the world, in the respective language for the market and accept payment for multiple currencies. Know who’s been viewing your products and their public contact info. Download the list as a CSV file. Set minimum quantities on orders, manage inventory and always know what products you have on hand. Set ship dates, track shipping, and export status, easily managed and conveyed to buyers. Beautiful digital linesheet presentations can be formatted and printed out quickly with full PDF support. Get started for free to begin selling with Brandboom's powerful suite of tools.